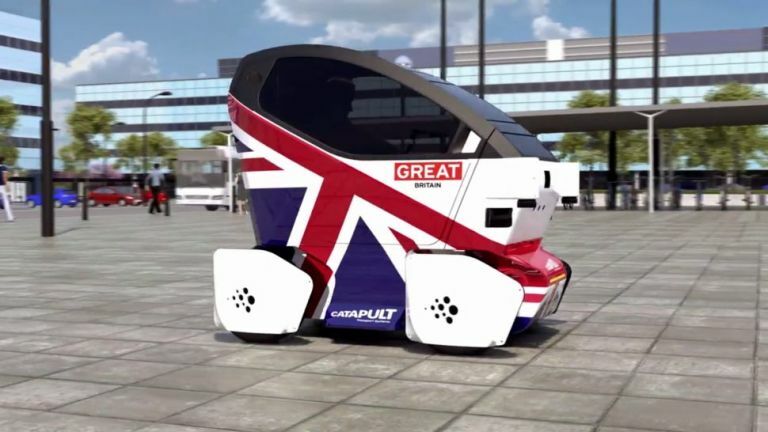 Driverless pods are closer than ever to hitting the UK pavements after one critical prototype got even closer to its debut. The Lutz Pathfinder pod, developed by Transport Systems Catapult and the RDM Group, is a two-seater pod that only needs an autonomous control system to be fitted before it can commence testing. Following a visit to the Oxford University's Mobile Robotics Group, where the system will be fitted, the action will move onto a private test track for a range of tests and only then will it be released for public testing on the pavements of the new town of Milton Keynes. Anyone worried about the safety of the pod can be safe in the knowledge that, for now, the vehicle will be driven manually to map the surroundings. Once that's done the pods are free to drive autonomously albeit with an operator on board to take over should anything go wrong. Transport Systems Catapult wants the pods to eventually be used as a public transport method that can be requested by commuters using a smartphone. Full blown trials of driverless cars on the streets of UK cities are likely to get underway in 2017 in Milton Keynes, Coventry, Bristol and Greenwich in south-east London. If that goes well, it's unlikely to be long before the roll out gathers speed.